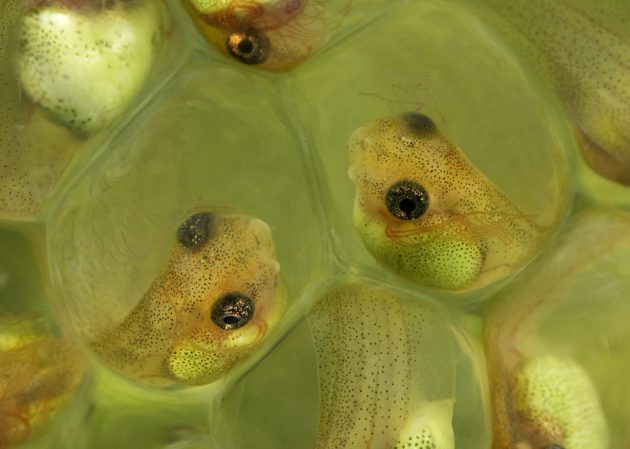 Close-up of red-eyed tree frog (“Agalychnis callidryas”) embryos inside their eggs. At the approach of a hungry parrot snake, a tree frog egg transforms from a haven to a prison. 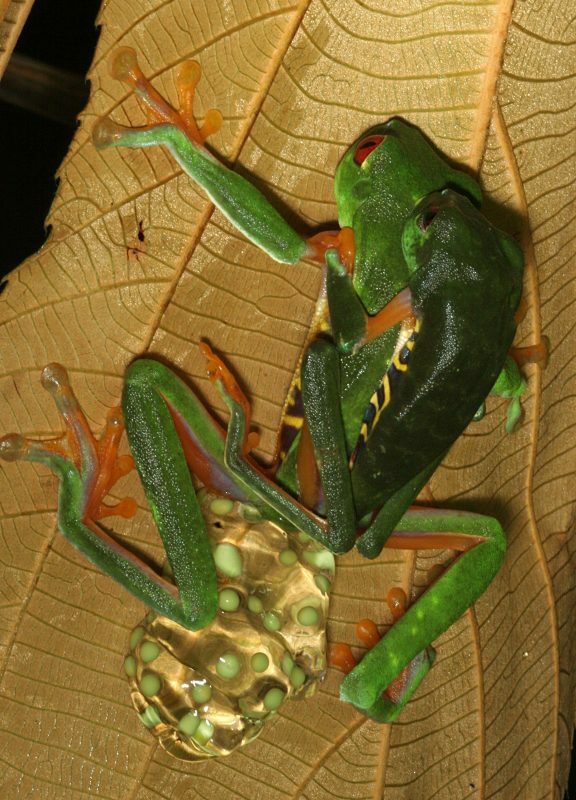 With no parent to offer protection, the developing embryo is left defenseless with its unborn siblings stuck in a gelatinous mass on a leaf overhanging a pond. Left undisturbed the embryos hatch and drop into the water in about a week. But when a hungry snake savagely bites the mass and begins to gulp down the eggs, uneaten embryos execute an emergency escape. Within seconds, they wriggle out of their tiny prisons and prematurely plummet into the safety of the pond. How do they manage this early breakout? 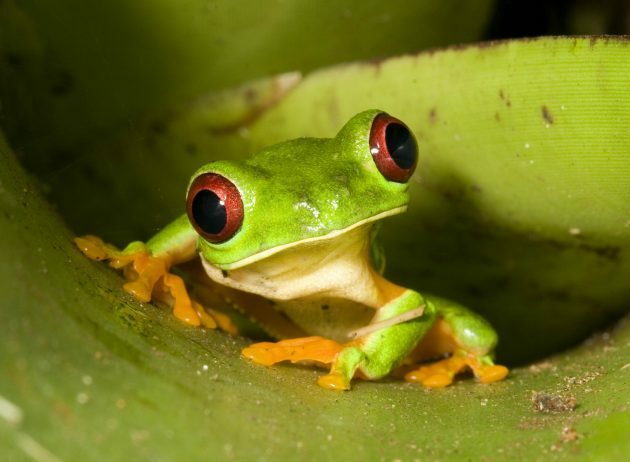 Karen Warkentin from the Smithsonian Tropical Research Institute and Boston University has pondered this mystery since the early 1990s, when she discovered embryos of the red-eyed treefrog, Agalychnis callidryas, performing this rapid escape act. For most frogs, hatching is a slow process—often taking days—during which an embryo gradually produces an enzyme that is diffused throughout the egg and dissolves the egg’s outer membrane. The enzyme is released as it is produced from hatching glands scattered across an embryo’s body. Warkentin checked the heads of red-eyed treefrog embryos with a powerful microscope, but found no hatching glands. “So these things don’t have hatching glands and they hatch super fast. 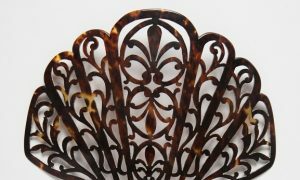 They must be hatching some other way,” she recalls thinking. Without these glands Warkentin concluded the embryos must hatch by either biting a hole in the egg membrane or by stretching the membrane until it popped. Fast forward to 2008, when Warkentin and Marc Seid, a postdoctoral researcher also at STRI, turned a high-speed video camera on five- and six-day-old embryos for a slow motion view of their quick escapes. What they saw surprised them. Big thrashing movements they assumed the embryos used to break the egg membrane actually occurred after the holes formed in the membrane. They also noticed that while some embryos had their snouts pressed up against the membrane where the hole formed, a few didn’t. Holes formed even when an embryo wasn’t physically touching the membrane. Both of these clues revived Warkentin’s suspicion that red-eyed treefrog embryos, like other frogs, produced enzymes to hatch. 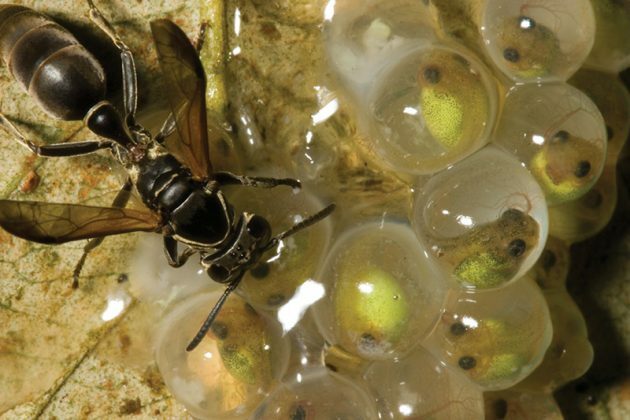 A wasp attacks a mass of red-eyed tree frog eggs. A second survey of the embryo’s heads in 2011 by Kristina Cohen, graduate student from Boston University, revealed what Warkentin and her team thought might be hatching glands concentrated on the embryos’ snouts. Cohen compared very thin slices of cells from the snouts of egg-bound embryos to cells on the snouts of just-hatched frogs. She discovered cells from un-hatched embryos appeared full of fluid, while those from the just-hatched ones were nearly empty. These must be the red-eyed frogs hatching glands the team concluded. “It was very exciting to find out they were hatching glands,” Cohen says. It appears that red-eyed tree frogs do use a hatching enzyme, but in an emergency it works fast rather than gradually. Red-eyed tree frog embryos store the enzyme in the glands on their snouts and can quickly release the enzyme in bulk, which rapidly eats a hole in the egg membrane, as opposed to just gradually weakening it. So it’s the combination of the hatching glands being located in a dense concentration on the snout, along with the mass dumping of hatching enzyme that allow the embryos to make a concentrated hole and hatch quickly. 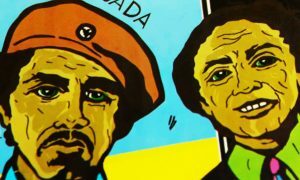 The study was published in the Journal of Experimental Biology. But why can’t they just thrash their way out?